Is All The Presidents Bankers’ the book for you? 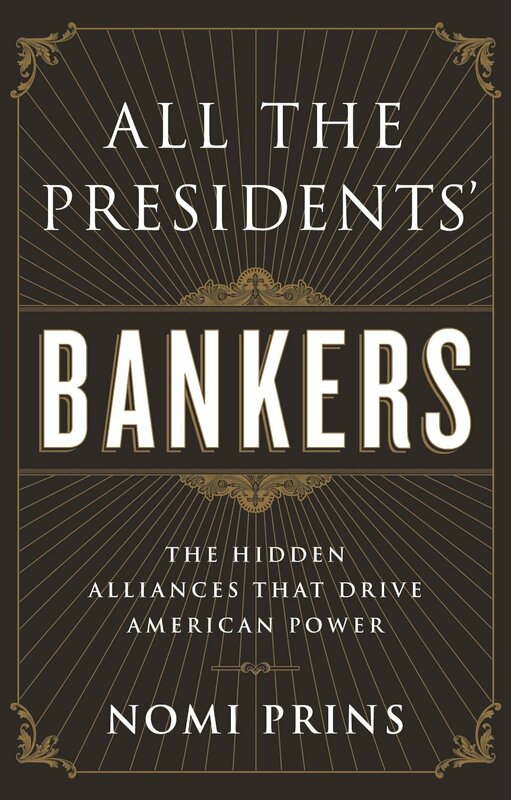 All the Presidents’ Bankers , by Nomi Prins, is about The Hidden Alliances that Drive American Power. So in this book review, I’ll tell you what All the Presidents’ Bankers is all about, so you can decide if this is the right book for you. Now let’s get started, shall we? By the way, if you’re not familiar with the author, Nomi Prins, she’s a former Wall Street banker herself. So if this former managing director at Goldman Sachs isn’t qualified to pull back the curtain and show you how things really work, then who is? And to be honest, I bought this book on a whim, but actually ended up really enjoying it. Let me tell you why. All the Presidents’ Bankers is a fascinating look at the link between Wall Street and the White House, and how it has evolved over the last 100 years. The book is one part history, one part finance, one part politics and all parts critical. All The Presidents’ Bankers doesn’t hold back. 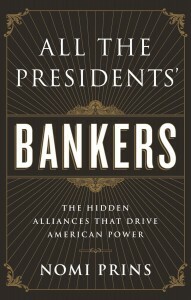 All The Presidents’ Bankers shows how America’s most influential financiers, and consecutive Presidents of the United States, worked together to export their agenda, and power, around the world. She picks apart this complex and intertwined relationship to show how foreign and domestic policy decisions are really made. All The Presidents’ Bankers also does a great job challenging the status quo. 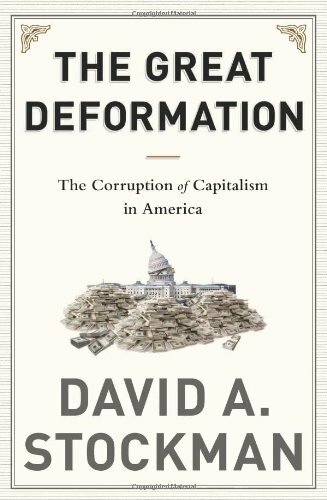 If you are longing for the “good old days,” and wondering how our society became so corrupt, confused and off-course, this might book will probably point you in the right direction. But that’s not even my favourite part. The best part of All the Presidents’ Bankers , in my opinion, was the way the book was focused on people. For example, a lot of financial history books, like The Great Deformation (which is still a great book), is focused on policies, events and outcomes. In contrast, All The Presidents’ Bankers really follows the key people that have influenced these important events over the last 100 years. All The Presidents’ Bankers makes it clear that it wasn’t just the bankers exploiting the White House, which you might think to be the case. Instead, this book highlights a much more nuanced relationship that is rife with quid pro quo. Truthfully, I quite liked All The Presidents’ Bankers. It brought a lot of context and understanding to other things I’d read, such as Confessions of an Economic Hit Man. But that said, I don’t think is the kind of reading that everybody loves. If you really accept the ideas discussed in All The Presidents’ Bankers, then you might find yourself at odds with the mainstream media. Some of the conclusions the book reaches might make you scratch your head and question if that’s the way the world really works. Some of your more straight-edged friends might even call you a conspiracy theorist, if you were to talk to them too much about the subject matter. Seriously! With that in mind though, All The Presidents’ Bankers does a great job focusing on the facts and the people behind them. The book is about 500 pages, including about 70 pages of reference notes (in tiny font). So as long as you aren’t intimidated by a longer than average book and thinking outside the box, All The Presidents’ Bankers could be the book for you. All The Presidents’ Bankers is a fascinating book. It does a great job explaining the hidden alliances that drive American power. For this behind-the-scenes look at what makes the United States, and western finance in general, power the world I recommend you buy All the Presidents’ Bankers on Amazon. If you’re still a little unsure, you might also want to watch the video book review of All The Presidents’ Bankers, below. This will give you even more insight into whether or not this great book is the right one for you. This entry was posted in Stock Ideas and tagged investment book reviews on March 31, 2015 by Jworthy. Are you ready for the colder war? And in this book review, I’ll give you a summary of what The Colder War is all about. I’ll also share what I liked and didn’t like about the book, so you can determine if this is the right read for you. Sound good? And in case you’e wondering, I picked up The Colder War after reading about it on ValueWalk.com. It’s not exactly an investing book. Instead, it’s more about the geopolitics of energy. But the implications for investors are clear. So, let’s get into this book review in earnest. 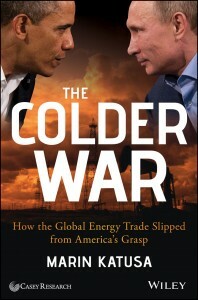 The Colder War takes a fascinating look at the global energy landscape, how it’s rapidly changing, and what that implies for the world’s nation sates. At the centre of the book is Vladimir Putin. Putin is cast as an ambitious and successful individual obsessed with returning Russia to it’s former glory. And the crux of his plans involves cornering the world’s energy resources, markets and infrastructure. The Colder War does a compelling case of laying out how this is going down. 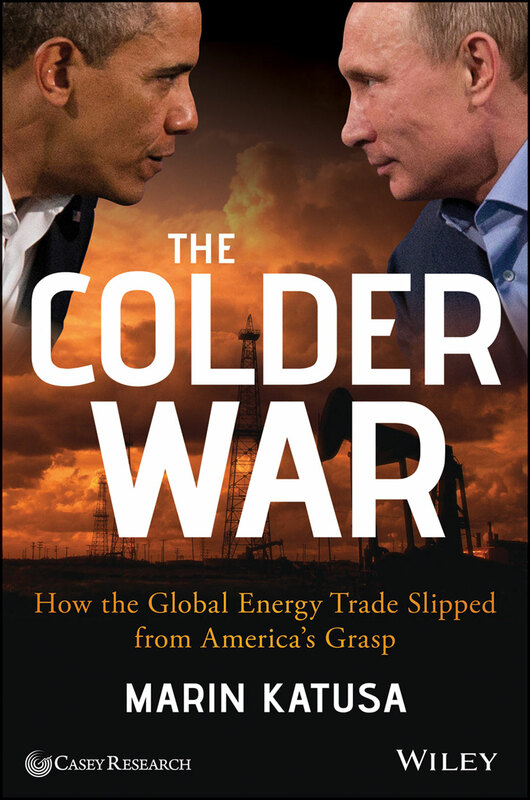 The Colder War provides a careful look at how Putin is developing Russia’s energy infrastructure, and strategically securing access and distribution agreements with emerging markets across the globe. The Colder War shows how Russia is positioning itself to maximize influence on the world’s energy mix. 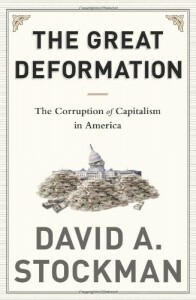 By the end of the book, the author’s implications for the United States, and the mighty dollar are clear. Whether you believe his conclusions are not will be up to you. But the Colder War provides an interesting point of view you might not have heard before. And I think when it comes down to it, that was my favourite part of this book. I think the aspect of The Colder War that I liked most was the unique point of view. The book is written by a European, so the perspective is quite a bit different than what you typically see in the American mainstream news. Now, that’s not to say this other perspective is better, it’s just different. And as an investor, it’s important to think independently and critically about the facts. The Colder War is a good reminder that other narratives exist than the most common one. So it could pay to keep your eyes open. Now that said, even though I really liked The Colder War, it wasn’t perfect. The Colder War was really interesting to read. And for a book on geopolitics, it was easy to understand and fast moving. But there are two sides to every coin. And I think by covering so much ground in a relatively short number of pages, the author is forced to make some assumptions and gloss over areas that might deserve a little more discussion. But I guess you have to take the good with the bad. Just keep in mind, life on the geopolitical stage is about probabilities playing out. And there are always lurking or hidden variables that we don’t account for. These unknown unknowns can drastically alter expected outcomes. While I really liked reading The Colder War, I think it comes up a little short in this area. So now that you’ve learned a little bit more about the pros and cons of The Colder War, let’s finish up this book review. The Colder War is an interesting read that shares a point of view you might not have previously considered. For this reason alone, it’s worth taking a close look. Click through to Amazon.com and read more about The Colder War for yourself. If you’re still not 100% sure this book is for you, take a look at the video book review below. It’s sure to give you a little more information about The Colder War by Marin Katusa. This entry was posted in Stock Ideas and tagged colder war book review, investment book reviews on March 28, 2015 by Jworthy. Are you a disciplined trader? The Disciplined Trader , by Mark Douglas, is all about developing winning trading attitudes. 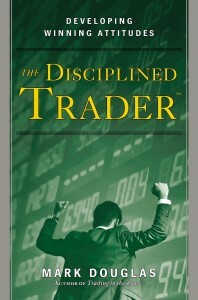 The Disciplined Trader is Mark Douglas’s first book. And like his second book, Trading in the Zone, this is all about trading psychology. It’s about the rarely-discussed subject of how your mind interfaces with the market. Fascinating stuff, right? Nobody talks about this aspect of trading as effectively as Mark Douglas, he’s spent the last 20+ years figuring out what works, and explaining it in clear terms. So let me tell you what you’re in for with The Disciplined Trader. I found the material in this book to be so stimulating, that I actually read it cover-to-cover, three times in a row! Once I finished it the first time, I started reading from the start again immediately. That’s because there is so much information and knowledge in this book that I literally couldn’t soak it all up the first time! If that’s not saying a lot, I don’t know what is. The other think I liked about The Disciplined Trader is that I read it is Mark Douglas’s first book, written 10 years before Trading in the Zone. So you can really see his thinking taking shape. And you can feel his experiences of losing money in the market are still quite fresh. I think the author does a very effective job making the book relatable. But that’s not even the best part. 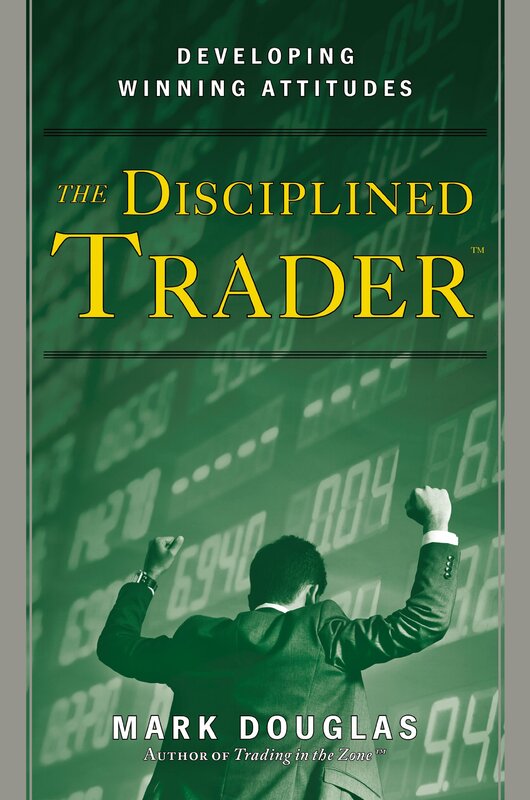 If you really want to know, I think the best part of The Disciplined Trader is the thinking methodology the book is based on. Without giving it away, Douglas does an excellent job challenging some of the most fundamental assumptions you have about the way the world works. He clearly demonstrates how the stock market is an environment like no other. And our experiences in the world-at-large do not effectively equip us to interact with the intricacies of the market. But not only does The Disciplined Trader show you how the market is special, it shows you what thinking skills you need to come out on top. It teaches the necessary criteria required for consistent trading success, and if that isn’t every traders dream, then I don’t know what is. But in case you think I’m getting biased, I want you to know the book isn’t perfect. I might be splitting hairs here. But I found the writing in this book to be a little bit choppy. Particularly, the first couple of chapters had some long sentences that were a little bit tough to follow at times. If my biggest complaint about this book is some run-on sentences, then I think that’s saying a lot. This is one of the best trading psychology books on the market (pun intended). Now, let’s finish of this book review. The Disciplined Trader is an incredibly educational book. I have yet to find another expert that tackles the subject of market psychology with the same insight and expertise as Mark Douglas. And this book is another great example of this (along with Trading in the Zone). For these reasons, I highly recommend you buy The Disciplined Trader on Amazon. If you’re still undecided, I encourage you to check out the video book review. This will give you even more insight into what you can expect from reading Trading in the Zone. This entry was posted in Stock Ideas and tagged investment book reviews, trading psychology on March 24, 2015 by Jworthy. 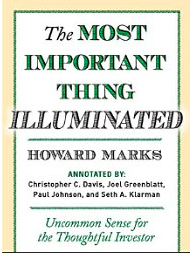 The Most Important Thing , by Howard Marks, provides Uncommon Sense for Thoughtful Investors. As you might know, Howard Marks is an incredibly experienced investor, and co-founder of Oaktree Capital. To make the book even better, the newest version is annotated by other value investing hotshots, like Joel Greenblatt and Seth Klarman. When you read The Most Important Thing, you get insight, advice and guidance form some of the most proven minds in value investing. To make matters better, the book is easy to read and offers insightful advice that can serve you for your investing lifetime. So keep reading this book review to see why I’m so glad my friend recommended this book to me. The Most Important Thing is, quite literally, a compilation of the most important things in value investing. The book is basically a series of annotated client memos that Howard Marks has written over the years. Each of the 20 chapters addresses one of the “most important things” in investing. The discussions about risk, managing the psychology of investing, and focusing on a margin of safety are worth paying attention to. I can see myself re-reading this book every year or so, just to keep the lessons top of mind. In my opinion, the best part of The Most Important Thing , was the way the book focused on the investor thought process. You see, this book doesn’t give a prescriptive formula to help you avoid risk, or find investing bargains. But it does tell you how to think about all of these critical issues. The reason I like this approach, is because it empowers you to adopt important and proven investing outlooks to your unique approach to the markets. The Most Important Thing actually encourages you to take the objective advice and apply it to your own experience and outlook. And remember, when you read The Most Important Thing, you don’t just get the opinion of one amazing value investor, you get the insights of four other amazing value managers who offer critical reflections on Marks’ thoughts. Keeping this expert guidance top of mind, and optimizing it to work with your investing approach is sure to be a tailwind for your portfolios. At this point in the book review, I’d try to find something negative about the book (or at least an area of improvement). But in this case, I don’t have much to say. The book reads well, it offers great advice and it’s something you can keep on your book shelf as reference material for decades to come. My only caution would be to reiterate the book is about how to think about investing and those key issues that influence performance. That means it’s not a prescriptive methodology you can follow. But for me, this bigger picture influence is even more valuable than a formula somebody else came up with. Now, let’s wrap this up, shall we? The Most Important Thing by Howard Marks is a great value investing book. It really does offer uncommon sense. It’s logical guidance that you don’t hear often enough. For this reason alone, I recommend you take a look on Amazon and buy The Most Important Thing . If you’re still on the fence, or want a little more information, why not check out the video book review for a little more perspective? This entry was posted in Stock Ideas and tagged investment book reviews, the most important thing howard marks on March 22, 2015 by Jworthy.